According to the agency, the digital health company received clearance related to its KardiaMobile platform, as well as something called the KardiaStation, on Friday. The application for the device or devices was received in September of last year. AliveCor declined MobiHealthNews’ request for comment on the agency’s notification. However, the company has in the past been fairly forthcoming about its work on a second-generation KardiaMobile, a six-lead ECG that would also be compatible with users’ smartphones. AliveCor first teased this product in the days following Apple’s entry into the mobile ECG market, with interim CEO Ira Bahr sharing a bit more on the company’s upcoming products in February. This hasn’t been the company’s only mysterious clearance in recent days. Another product called the KardiaAI was approved in March, which a recent update to the FDA’s prior database listing now describes as “a software analysis library” that “supports analyzing data recorded in compatible formats from any ambulatory ECG devices such as event recorders, or other similar devices.” Listed among the tool’s capabilities is noise filtering, heart rate measurement and ECG rhythm analysis for detecting, when prescribed or used professionally, normal sinus rhythm, atrial fibrillation, bradycardia and tachycardia. 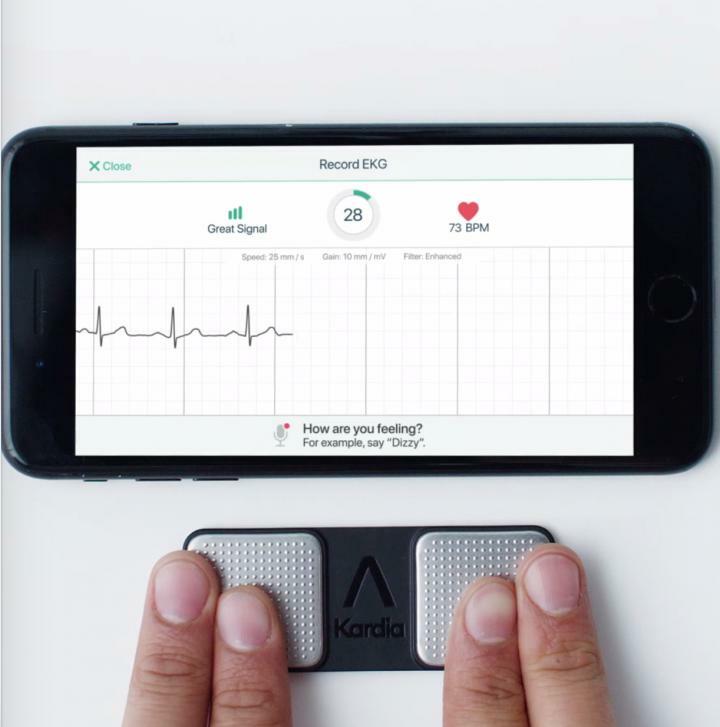 Alongside the clearances, AliveCor’s platform was highlighted in a number of research studies presented at the American Conference of Cardiologists in March, one of which was a Mayo Clinic investigation of the second-generation device.